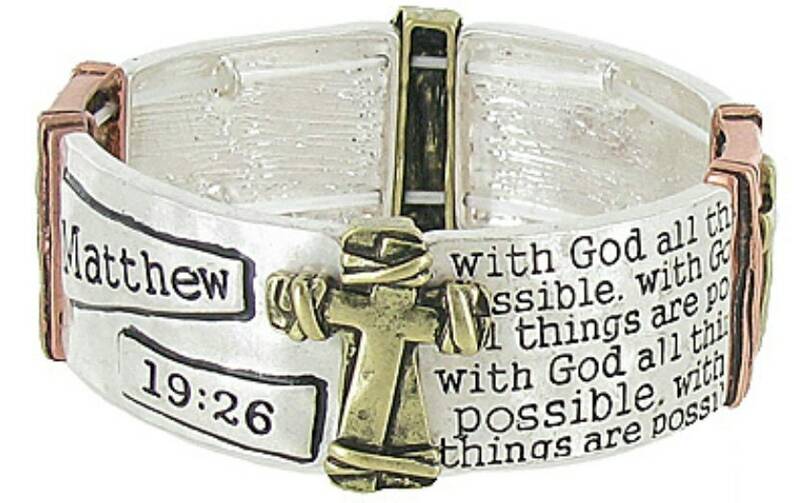 Matthew 19:26 Stretch Cuff Wrap Bangle Bracelet 3 Color. Cuff Bracelet stretches to fit. 1 1/4” x 7 1/2”.